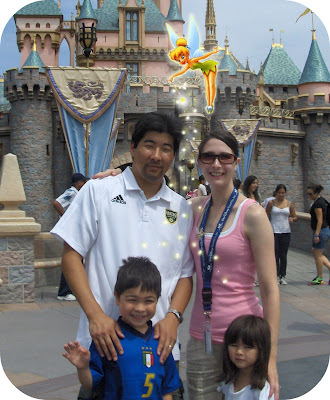 Last week we spent our vacation at Disneyland. 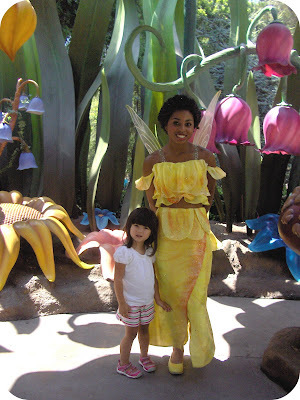 For my daughter, the highlight of the trip was meeting Tinkerbell in Pixie Hollow. She couldn't stop talking about her. 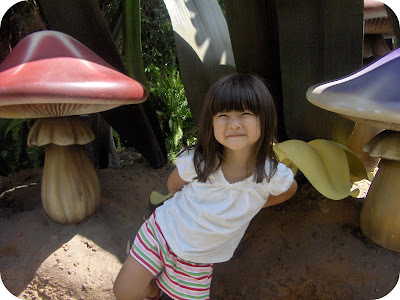 She had grand plans of spending the night at Tinkerbell's house. Oh, to be a child again, such a gift of imagination, wonder and believing. This craft project was inspired by Martha Stewart's vacation memory jars. But instead of filling a jar with vacation mementos, I decided to recreate a precious moment from our vacation. Here's how I did it. 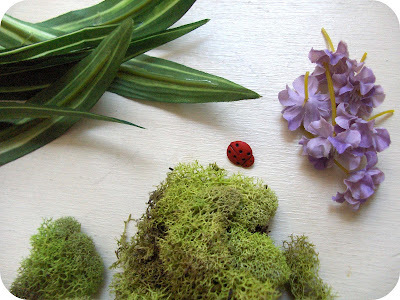 I gathered up items I might find in Pixie Hollow: moss, ladybugs, flowers and grass. 1. Paint jar lid green. 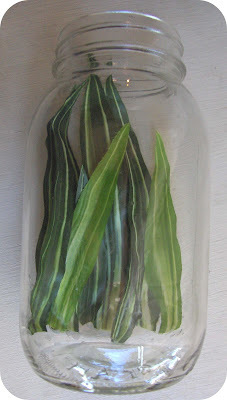 Cut styrofoam ball in half and paint green (make sure it fits in the opening of your jar). Let dry. 2. 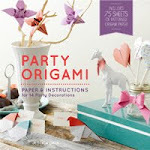 Print out a picture ( I printed it on vellum paper). 3. Hot glue some leaves inside the back of the jar. 4. Glue picture to green styrofoam ball. Glue to bottom of jar. 5. Drop in moss along the sides of the styrofoam. Next, cover all of the styrofoam with moss. I poked the moss into the styrofoam with a chopstick. 5. 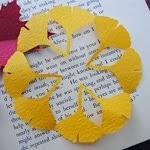 Glue embellishments on the moss such as flowers, ladybugs, mushrooms, etc. 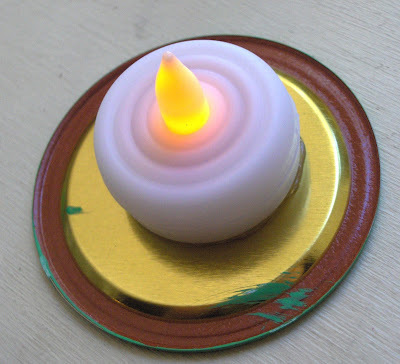 Hot glue a tea light underneath lid. This tea light turns on and off by twisting it (purchased at the dollar store). Sprinkle a little gold glitter in the inside for fairy dust. Attach lid on jar. Done. That's really sweet! What a special keepsake to make for your daughter. Adorable...thanks for sharing such a fantastic idea. How darling! A fantastic way to remember your trip! what a perfectly lovely idea! and I really like the battery operated tea light effect too. How magical this must look in her room with the lights off! Oh, that is so sweet! The sweetest part is the expression on your daughter's face. How old is she? She reminds me a lot of my own little girl! That is the best memory jar ever. So special. The pixie hollow is a new attraction, isn't it? I can't wait to see it myself! 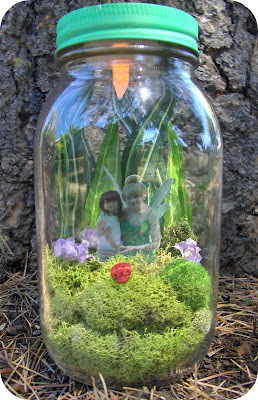 Your daughter is so lucky to have a crafty mom, she'll be treasuring the jar forever! How cute! I can't wait for my son to be old enough to enjoy a trip to disney! That is really adorable. I have a four year old boy who wants to meet Tink when we visit in Sept. I may have to make on of these for him. I can imagine if this was mine when I was a little girl. I'd probably sit for hours staring at it. This is such a neat idea! My daughter loves Tink, and Peter Pan. Will have to show her this! WOW . . . what an amazing keepsake! Thanks for showing us how you did it. What a wonderful way to keep sweet memories alive! Thanks for sharing Jessica. What a cute project...and a great shot of your family! very well done! 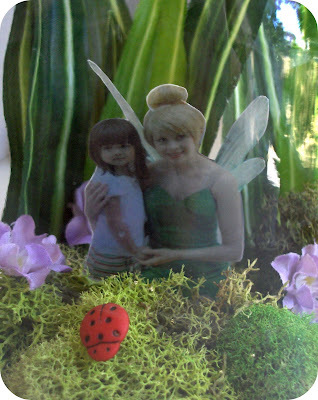 your daughter definitely loves this memento...she can always be there beside tinkerbell. You have a very happy family! Precious! And your little girl could not be cuter. We're going to Dland next week! This is such a fun idea. I'm going to have to take some great pictures of my daughter with Tinker Bell!! and I could do this with some of my photos....thank you for sharing this cute idea! 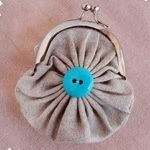 a definite christmas gift for my girls this year - adorable!!! I LOVE this idea, especially with the light!! Can't wait to do it with my kids.